Khelvin is a Partner with the firm’s Commercial Litigation group. He is a tenacious litigator who appears regularly in contentious hearings before the Singapore Courts. His goal is always to find effective, commercial, and cost-efficient solutions for his clients. Khelvin’s practice has a particular focus on contractual disputes, as well as matters relating to directors’ duties, shareholder agreements, and minority oppression. He acts for clients in a wide variety of matters, and often in complex commercial disputes. He handles matters at all levels of the Supreme Court of Singapore and the State Courts of Singapore. 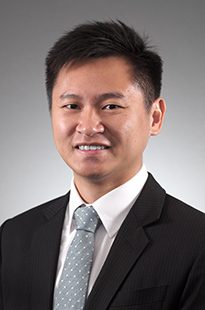 He is also active in international arbitration, having handled arbitrations in Singapore (involving foreign parties), Vietnam and New York. Acting successfully in a multi-million dollar international arbitration for a Japanese corporation listed on the Tokyo Stock Exchange against a Hong Kong entity (represented by an English Queen’s Counsel / Hong Kong Senior Counsel), in respect of the distribution of consumer products in Mainland China. Acting successfully in a multi-million dollar High Court claim for an investment banking company against a South Asian high-net-worth-individual, who had sought to stay the proceedings on the ground of forum non conveniens. Succeeded on appeal before the Court of Appeal. The Court of Appeal’s decision attracted significant industry and media attention. (Orchard Capital I Ltd v Ravindra Kumar Jhunjhunwala  2 SLR 519). Acting in a multi-million dollar international arbitration for the subsidiary of a major European financial institution against an Asian state-owned oil corporation, in respect of a multi-billion dollar oil exploration project in an African country. The opposing party was only able to obtain a fraction of the relief sought. Acting in a number of High Court claims for an East Asian high-net-worth-individual against a Singaporean individual, defending allegations of breach of fiduciary duty / minority oppression. Succeeded in a claim for shares in a joint venture company on the basis that they were held in trust for the client. The matter was eventually settled. Acting successfully in a High Court claim for a Singapore-listed construction / property / engineering company, in resisting an application for leave to commence minority proceedings brought by a minority shareholder in a joint venture company. Successfully resisted appeal before the Court of Appeal. Acting successfully in a million-dollar international arbitration heard in New York for a commodities trader against a large American trading company, defending allegations of breach of contract. Succeeded largely before the arbitration tribunal. Acting in a dispute for a commodities trader against the Vietnamese subsidiary of a large Dutch distribution company, in a claim under the Vietnam International Arbitration Center for fraudulent payment. The matter was eventually settled. Acting for a Singaporean high-net-worth individual in relation to a motor accident involving several supercars. The claim was settled in the client’s favour without having to resort to litigation. Acting for an East Asian high-net-worth individual in relation to High Court proceedings involving allegations of breach of trust, and in the context of ongoing matrimonial proceedings. Acting in a multi-million dollar SIAC international arbitration for a South-East Asian high-net-worth individual, in respect of commodities in an African nation and a settlement agreement. Acting successfully in resisting an application to the High Court for leave to commence committal proceedings, for alleged breaches of an Order of Court. Acting for a Singapore tour operator against another Singapore tour operator, defending claims for outstanding invoices. After Khelvin began cross-examination, and between the 1st and 2nd tranches of trial, the matter was settled on favourable terms. Acting in a High Court claim for defamation, on behalf of 6 individuals and against 8 individuals and an association. Acting in a High Court claim involving shares in a hotel at a popular tourist destination. Presently acting in a multi-million dollar High Court claim for a large European bank against customers’ allegations of fraud / misrepresentation / breach of duties. Presently acting in a multi-million dollar High Court claim for a number of companies / individuals, including a high net-worth individual, against claims of minority oppression being brought by a Singapore-listed company. Contributed to chapter on “Legal Profession” in Singapore Academy of Law Annual Review of Singapore Cases, (2013) 14 SAL Ann Rev 452. Contributed to chapter on "Legal Profession" in Singapore Academy of Law Annual Review of Singapore Cases, (2014) 15 SAL Ann Rev 445.